Did you know that humans are one of the only species on earth that don’t manufacture their own vitamin C? For this reason, getting a daily dose from our diets is essential for immune health and reducing signs of aging. However, it can be challenging to get an ideal dose (especially in winter, or if you haven’t exactly been getting in a lot of fruits and veggies at every meal). This is why we’ve not only developed our Essential C Supplement, which contains wildcrafted, organic, acerola cherry (one of the highest vitamin C-rich foods on the planet), camu-camu berry (another vitamin C powerhouse) and amla berry (a fruit has been used for thousands of years in Ayurvedic herbal medicine to support heart and brain health), but an easy and bright recipe to use it in for a quick Springtime breakfast. 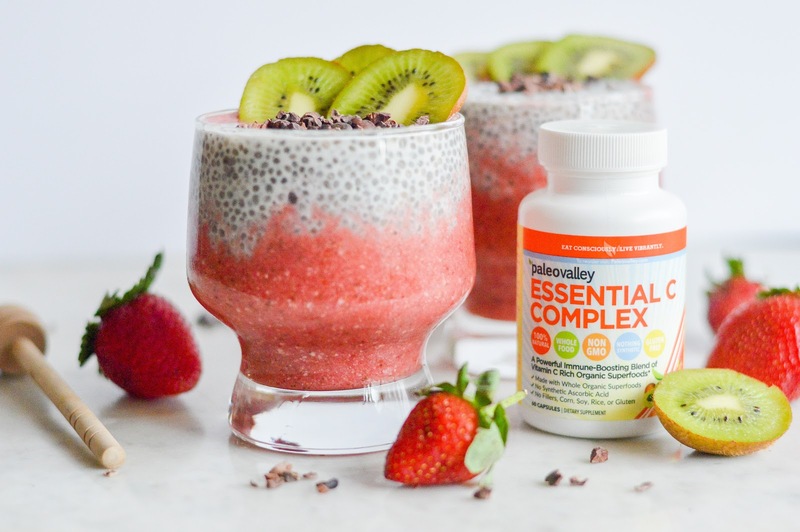 This chia pudding contains our Essential C Complex, as well as antioxidant-rich kiwi and strawberries to further help boost your immune system and brighten your complexion from the inside out. It’s also a filling and vibrant dessert or breakfast for kiddos in lieu of the Easter candy rush. 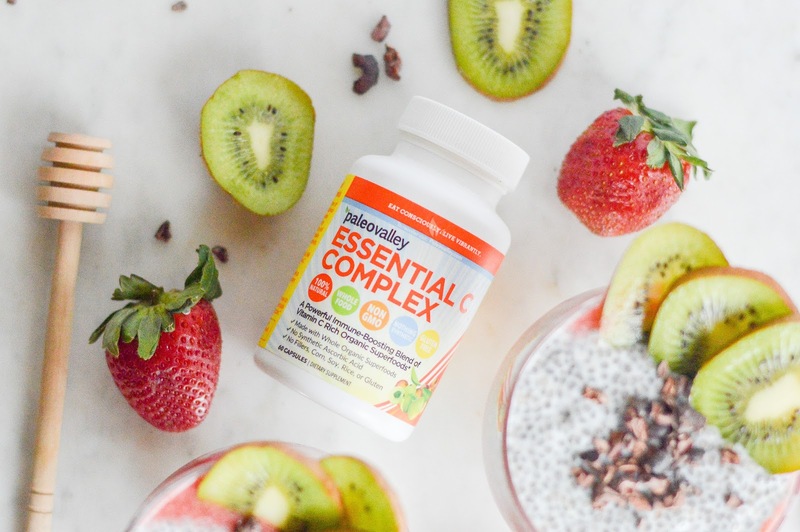 Our Essential C Complex is made from delicious whole fruits, so they’ll never even know you snuck a vitamin in. 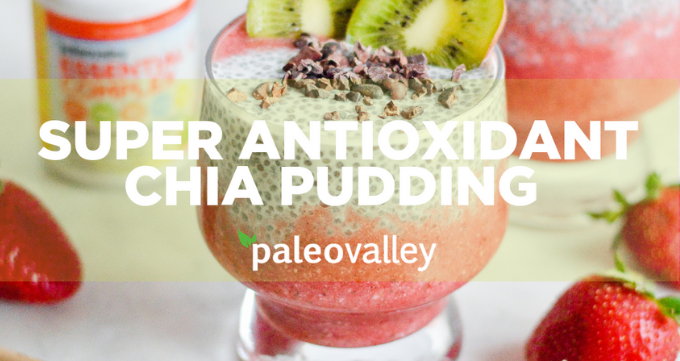 In just 20 minutes, you can whip up these colorful puddings and get more than your recommended daily dose of vitamin C.
Stir chia seeds into 2 cups of almond or coconut milk until thoroughly combined. Let soak for at least 10 minutes (you can soak them overnight as well). 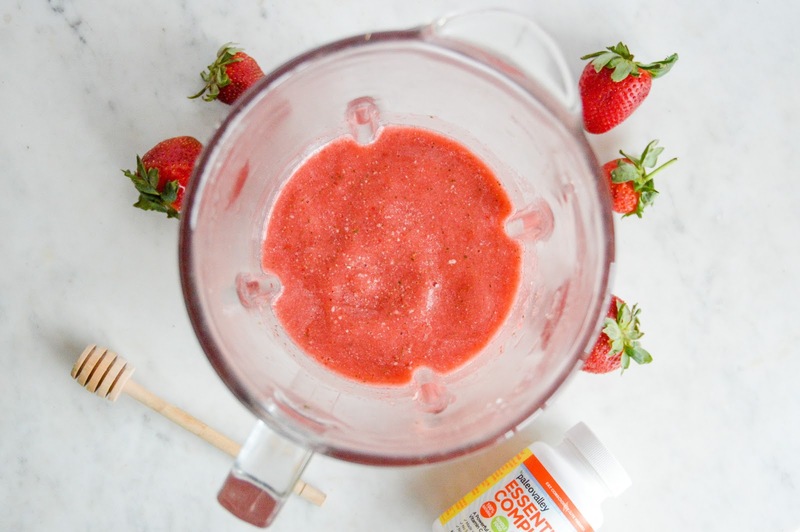 Add frozen strawberries and the last cup of coconut or almond milk to your blender. Open your Essential C capsules and pour the powder into the blender as well. Blend on high until thick and creamy. Divide the strawberry mixture into the bottom of two cups or bowls. 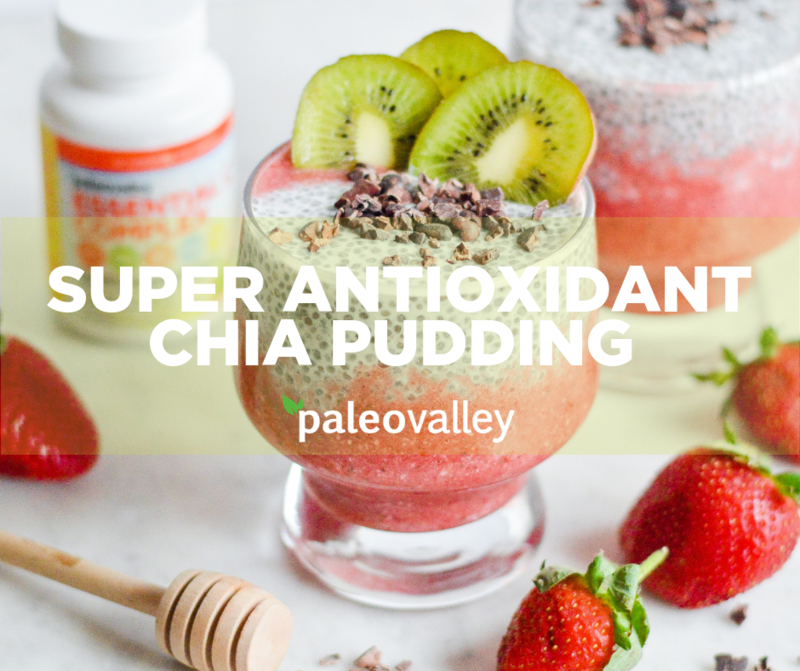 Divide and add on top of this your chia pudding. 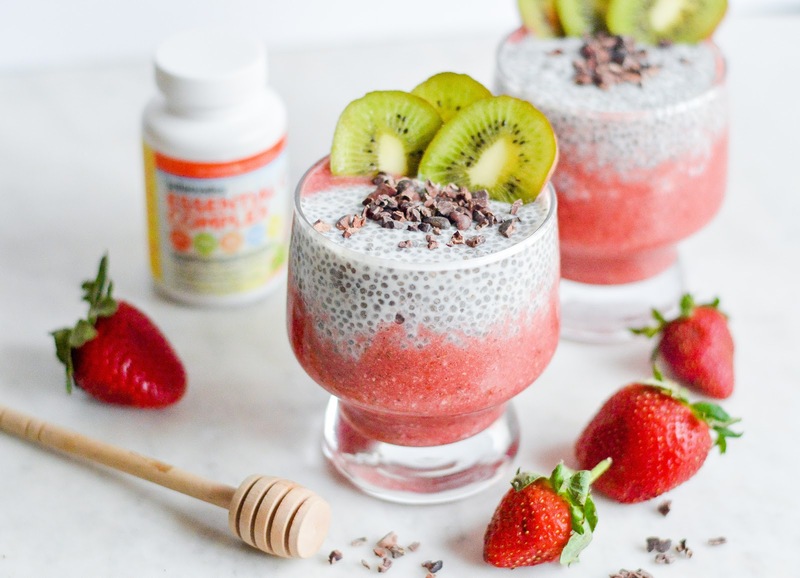 Top with sliced kiwi and fresh strawberries, as well as cacao nibs or raw honey. Our Essential C supplement contains a potent dose of anti-aging and immune-boosting vitamin C from some of the highest whole-food sources of vitamin C on earth. 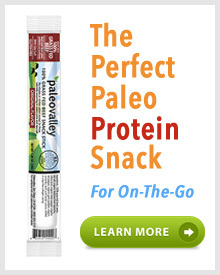 You can get creative with them and break them open into smoothies or desserts, or just pop them as a daily supplement. Check them out here!